Where are Japan's missing centenarians? 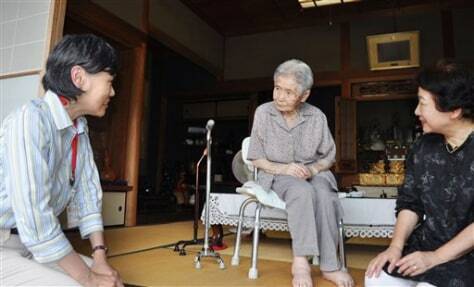 A Kobe city official, left, visits 100-year-old Mitsue Watase, center, at Watase's home on Tuesday. Officials started a door-to-door survey on the whereabouts of centenarians.